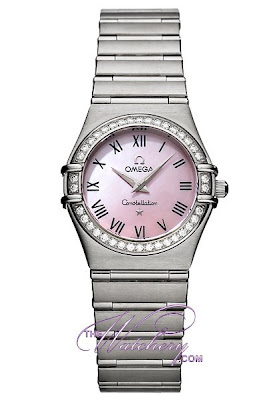 Pinay WAHM: Omega...my Kind of Watch! I’ve always been fascinated with watches. Well, I’m fascinated with jewelry just like any other women out there. Not a bad fascination I should say since fine pieces of jewelry are considered great investments. Aside from that, they are nice accessories, right? I have several watches. Some of them I bought myself and some were given to me by my former students as gifts on special occasions. I treasure all of my watches whether it’s a cheap watch or the more expensive ones. As a matter of fact, I still have those that are no longer working. But with all the watches I own, I still want to have a few more. I want one or maybe two Omega watches. Yep, those really nice watches that a lot of women like want to get their hands on. Right now I’m still not ready to buy one because we’re still trying to monitor our financial spending since we just moved and have to prioritize. But as soon as we are adjusted and have everything we need here in the house…then I’m going to start saving enough money to get me this Omega watch that I saw at thewatchery.com website. Fine watches are so much cheaper with them and if I purchase this one, I am even entitled to receive a free watch. Sweet!